i was the lucky recipient of another plain white envelope from jeff at 2x3 heroes a week and a half ago. 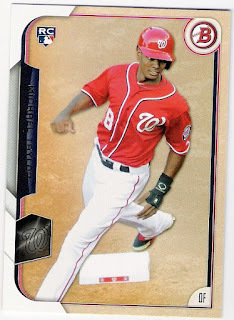 it was a happy coincidence, as it landed in my mailbox the same day that i sent a couple of pwe's and 12 packages out into bloggerland. one of the packages was sent jeff's way, but i think i need to get another together soon. here are six of the nine cards that jeff managed to send my way in a standard number 10.
greinke's got to be the nl starter for the all-star game, right? 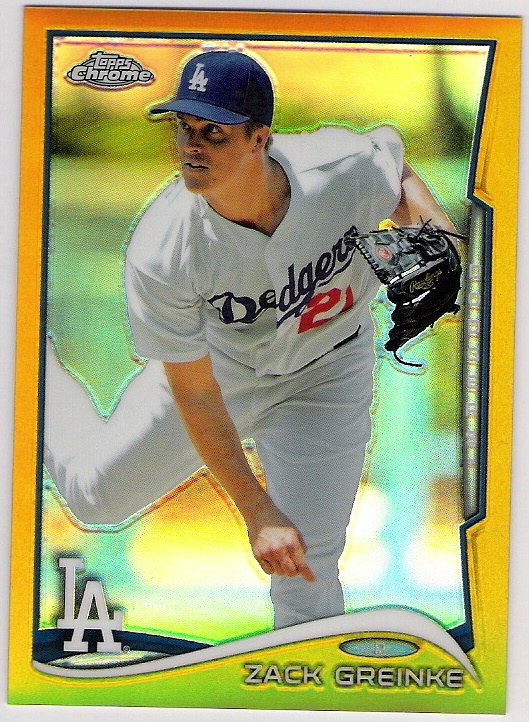 and, he's got to exercise his opt-out clause with the poor run support that the dodgers are giving him, right? i hope i'm wrong about that last one. 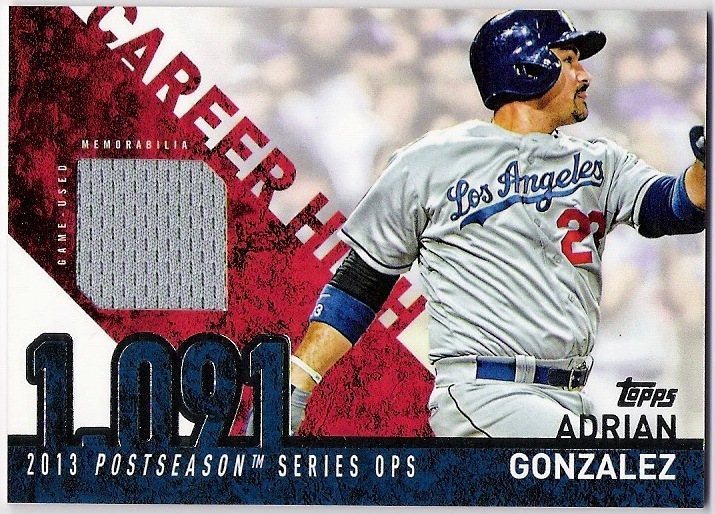 at first glance, i thought this card was all about gonzalez's career best postseason ops, so i took a quick look, and gonzalez did, in fact, have a 1.091 ops in the 2013 nlcs, but his 0.833 ops in the nlds that year would bring his total postseason ops down into the .900s. however, topps does a good job on the back letting me know that they are only referring to the 2013 nlcs with this card - hence the "postseason series" text that i overlooked when i first saw this card. as a matter of record, in his other postseason appearances, gonzalez posted an ops of .828 with the padres in 2006 and a paltry .610 with the dodgers last year. now, i would imagine that 'stepping up' usually refers to a batter. 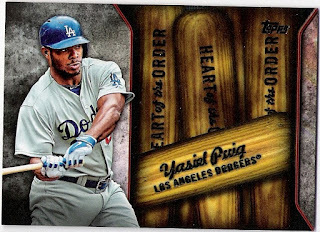 in fact, the phrase 'step up to the plate' has infiltrated everyday lingo, and the cards feature home plate in the background. 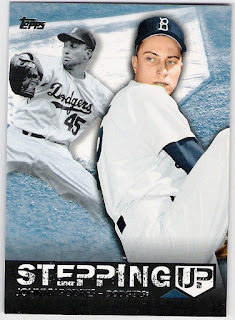 so, why feature two pitchers on these stepping up inserts? 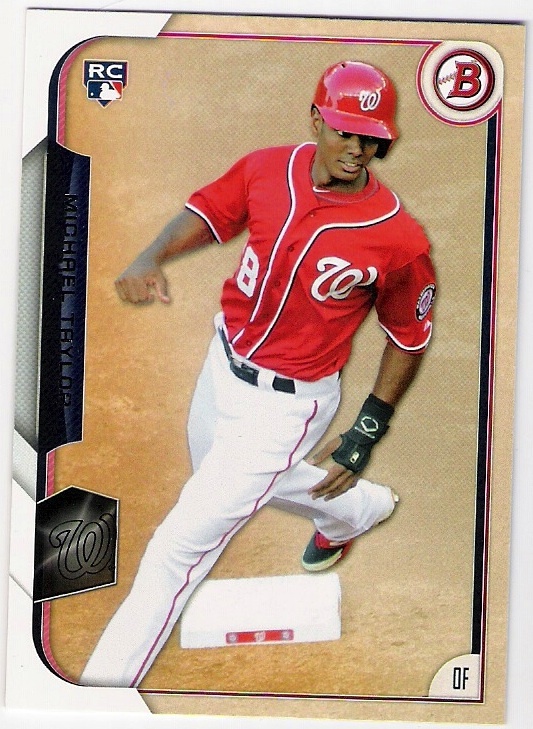 i guess "toeing the rubber" doesn't quite have the same sound. topps does let us know on the backs that they consider koufax to have 'stepped up' in his second big league start back in 1955 when he threw a two-hitter, and podres, of course, 'stepped up' to shutout the yankees in game 7 of the world series that year. 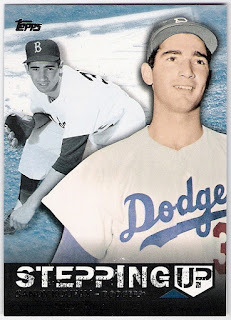 it's nice to see podres continue to get some topps love, but maybe they could throw some attention to don newcombe or carl erskine or even carl furillo once in awhile. 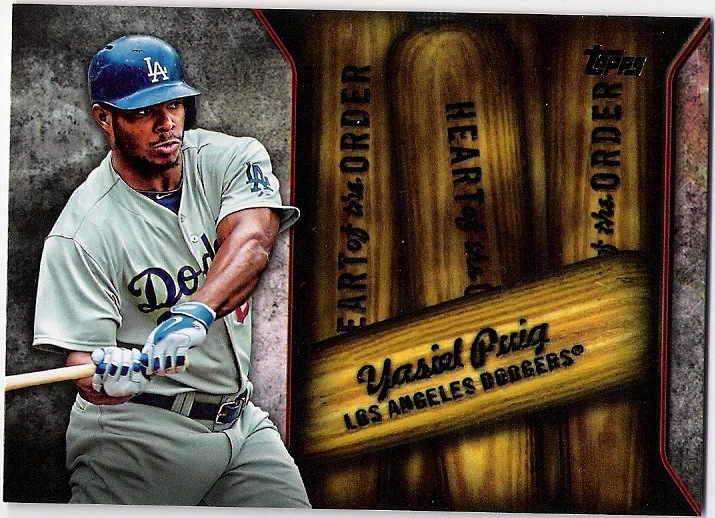 topps acknowledges on the back of the card that puig has typically hit in the number 2 spot. thanks as always, jeff. hope you enjoyed the stuff i sent your way!